This living wall biofilter measures 10m wide and 16m high for a total area of approximately 160m². This is our first living wall and still one of our largest. Fully integrated into the building air handling system, and capable of delivering 40,000 CPM, this living wall biofilter is supplied by natural light, and supplemented with architectural lighting. 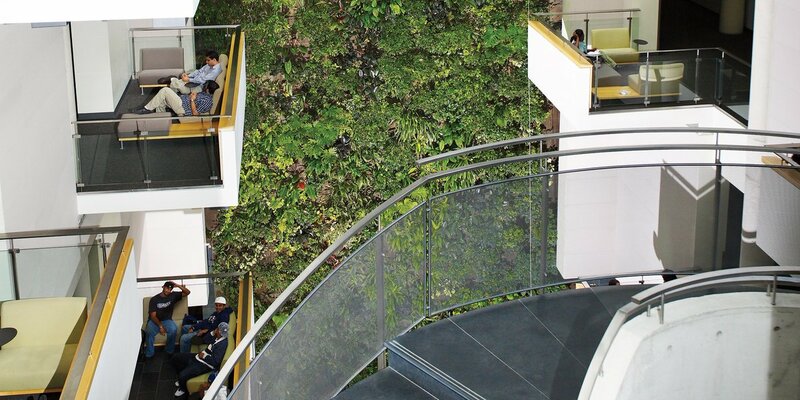 This living wall contributed towards the building receiving a 2005 award of excellence from the Royal Architecture Institute of Canada.